My goal is to be efficient and to make the process worry-free for our clients. I do everything possible to anticipate the needs of our clients, even before they ask. Tammy provides extensive support to our lawyers in the areas of commercial real estate, banking, and financing. 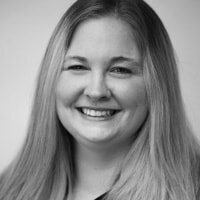 ​Tammy graduated from the Law Clerk Program at Niagara College and from McMaster University with a Bachelor of Arts Degree in psychology. Combined with over 20 years of experience, primarily in the area of real estate, Tammy brings with her a wealth of knowledge in her areas of practice.